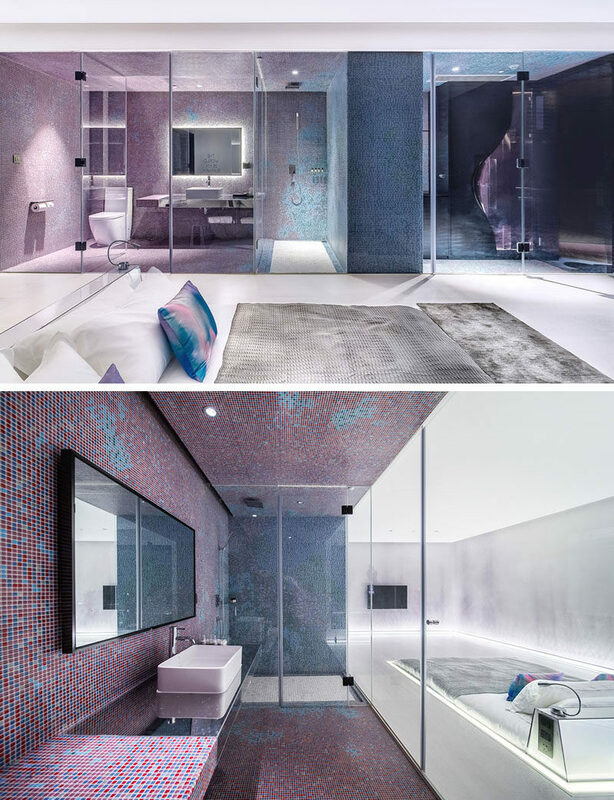 Architecture firm LYCS have recently completed the interior renovation of the Mylines Hotel in Hangzhou, China, and as part of the project, they designed a futuristic room that has the bed sunken down into the floor. The only part of the bed that rises up from the floor is the small top part of the mattress and the mirrored headboard, that’s home to two bedside lamps. Surrounding the bed is a line of light, that has been embedded into the floor. 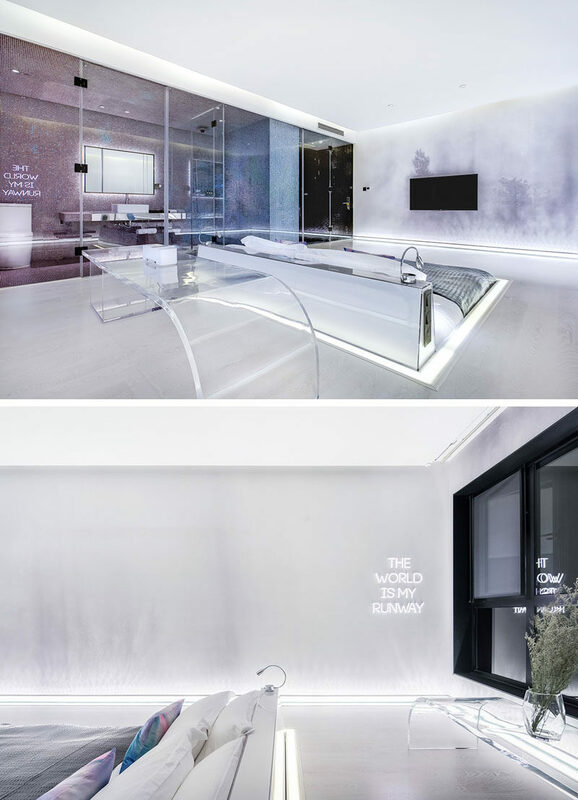 This lighting design element is also featured around the edges of the room where the walls meet the floor.